I shouldn't have spent as much time on this as I did, but since I did I am posting it. 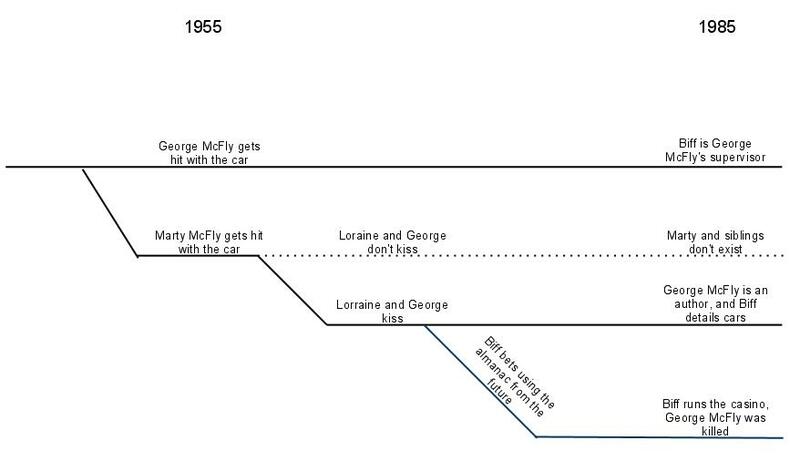 This weekend we watched Back to the Future I & II with our son. While watching the second movie something started to bother me. The main plot of the movie is that Marty had to go back in time to "fix" things, as when Marty returned to 1985, Biff had become a powerful man in the town because his future self, gave him a sports almanac, to allow him to make money by betting on sports.